When Ann Johnson, VP of Enterprise Cybersecurity at Microsoft expressed interest in joining our organization and getting involved, we got excited. When she took the reigns of our first Seattle Cybersecurity Converge Tour stop, we were elated. When she gave the opening remarks and shared her career journey, we (and more importantly the students in attendance) were inspired, and challenged. Ann recounted her journey from humble Utah beginnings, overcoming adversity, to becoming a global executive at one of the largest and most notable companies in the world. Her lesson for students was that no matter where you come from or what your background, passion and hard work will allow you to accomplish anything. 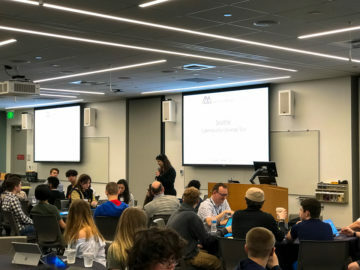 In partnership with Project Lead the Way, the Alliance and Microsoft hosted 90 middle and school high students from six schools districts, some of whom traveled nearly three hours to attend the event. The message of the day; there is a massive talent shortage looming over our industry, and we need students with diverse backgrounds to help fill the open jobs. 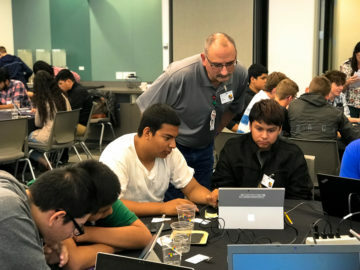 The curriculum of this half-day gamified workshop is designed to teach the basic principles of cybersecurity, ethical use of technology, digital citizenship and teamwork. 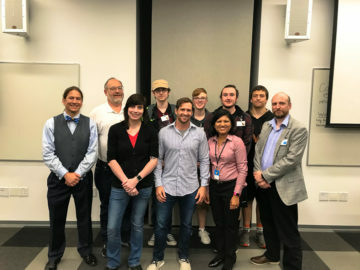 Ted Bardusch, CISO at Usermind, led an open discussion with students on the challenges facing cybersecurity leaders and the industry as a whole, as well as the career opportunities that exist for them in the space. 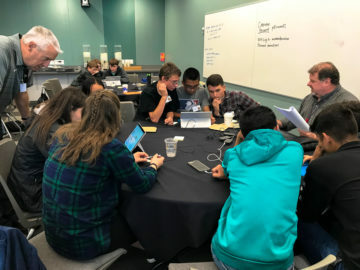 The Converge Tour event opened with a game intended to expose the difficulties of information security, including the inherent difficulties faced by the “human factor.” Our leaders challenged students with several different scenarios, all around protecting a single piece of data. Students then learn basic principles before having their problem solving skills tested with our Capture The Flag experience. Questions in the game are designed to reinforce what the students are taught in the morning sessions. 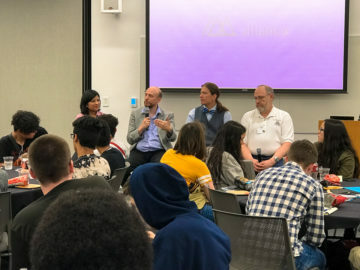 The day concluded with a panel discussion where local cybersecurity leaders Ted Bardusch (CISO, Usermind) and Andrew Whitaker (CISO, City of Seattle), and members of the Microsoft team, Seema Kathuria, Trevor Taylor and Chris Kirk shared their individual career journeys. Experiences like these, taking students out of the classroom, and into the nation’s leading companies, exposes them to real-world opportunities and provides the mentorship necessary for self-discovery. These events wouldn’t be possible without the incredible volunteers and partnership with our friends at Microsoft.